Information and insights gathered from visiting colleges. 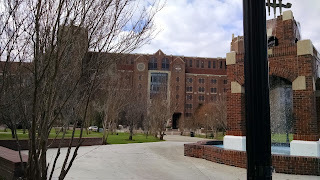 Florida State University (FSU) is a Florida public university with about 33K undergraduate students in the state capital Tallahassee, a small city in the northern part of the state. 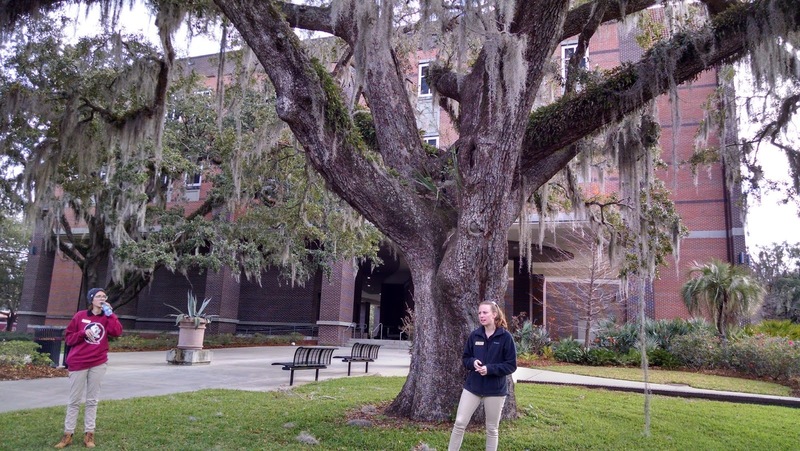 Academics – Top majors at FSU are biology, business, engineering, psychology and clinical professions. The university has a 94% retention rate and a 90% six-year graduation rate. 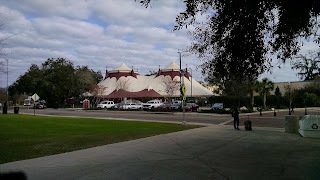 The engineering program is a joint institution serving both FSU and Florida Agricultural and Mechanical University (FAMU). Studying abroad – Over 2000 students study abroad each year in one of 20 countries. See “Financial” for a special deal for out-of-state students who study abroad for their freshman year. Extracurricular Activities – FSU is a NCAA Division 1 school with a football team. There are no fraternities or sororities. 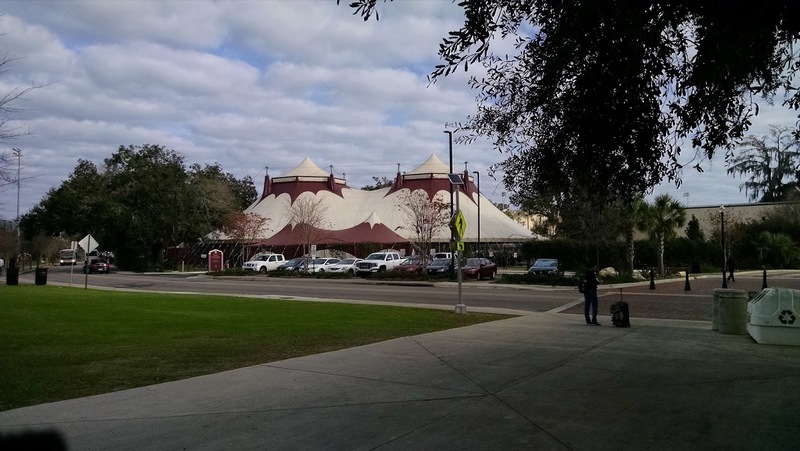 One unusual extracurricular activity is the FSU Flying High Circus. 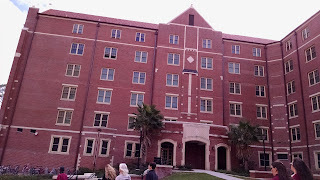 Housing – First year students live in a suite or an apartment style building. There are Living and Learning Communities for shared interests (e.g., social justice), shared majors (e.g., music), and shared career paths (e.g., health professions). Financial – The in-state cost for tuition and fees, housing, meal plan, and books and supplies is about $18.3K per year, while the out-of-state cost for the same items is about $33.5K per year. One unusual draw to FSU is that out-of-state students are eligible for in-state tuition for the remainder of their undergraduate degree if they spend their first year abroad in an FSU study center in London, England; Florence, Italy; Panama City, Panama; or Valencia, Spain, typically saving about $36K. Applying – Students who apply by November 1 have a decision by January 31 and priority consideration for merit aid. The student admitted profile for the Fall mid-50% is a core academic GPA of 4.1-4.5, and an SAT of 1290 – 1400 or an ACT of 28 – 32. The student admitted profile for the Summer mid-50% is a little lower: core academic GPA of 3.8 – 4.3, SAT of 1210 – 1310 or an ACT of 25 – 29. Rana Slosberg is an independent educational consultant who works with high schools students and their families on finding colleges that are a great fit. 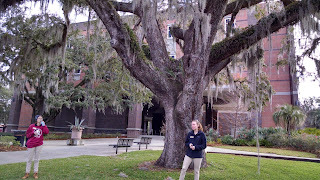 Information on Rana and her company, Slosberg College Solutions LLC, can be found on www.slosbergcollegesolutions.com.